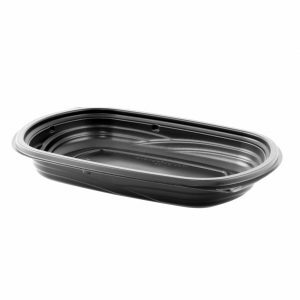 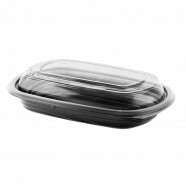 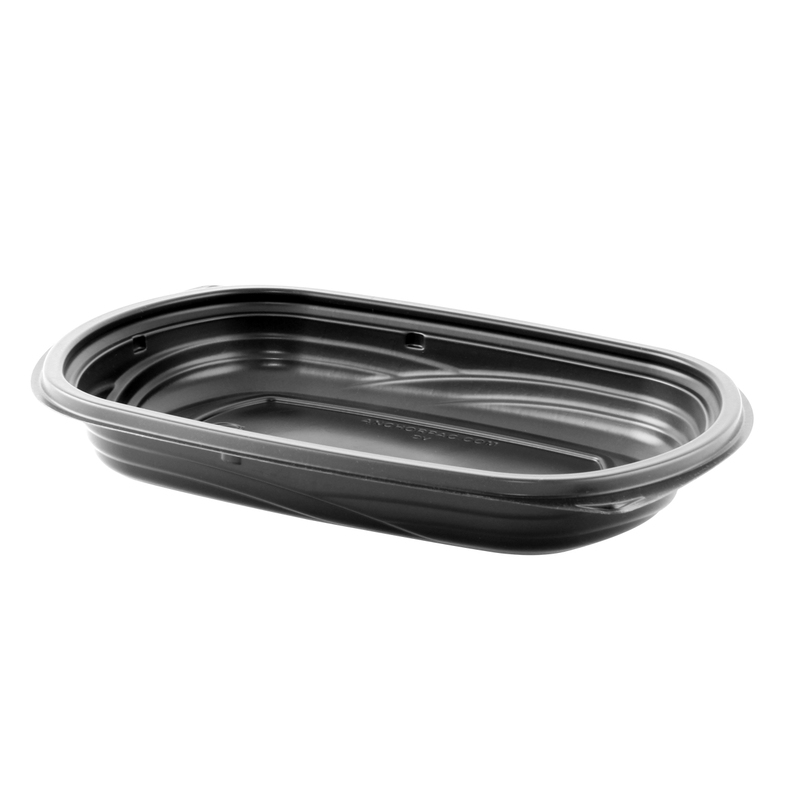 Microwavable container with smooth side ergonomic design for ease of use. 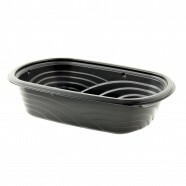 Eye-catching WAVE pattern with spoon-able inside surface and shiny black outside attracts impulse buyers. 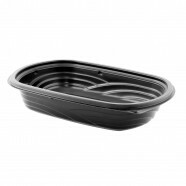 Attractive, table-ready container in cut-resistant polypropylene material made with 40% less petroleum based resin. 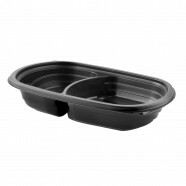 Leak-resistant closure prevents messy spills and stackable design preserves the food presentation. 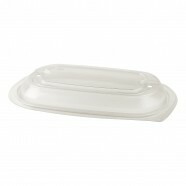 Bases and polypropylene dome lid withstand temperatures to 230° F in warming unit, under heat lamps or in the microwave. 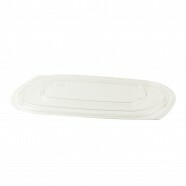 Also available combo packed with PP dome lid or RPET dome lid. RPET dome and flat lids available for optimal food visibility on chilled displays. 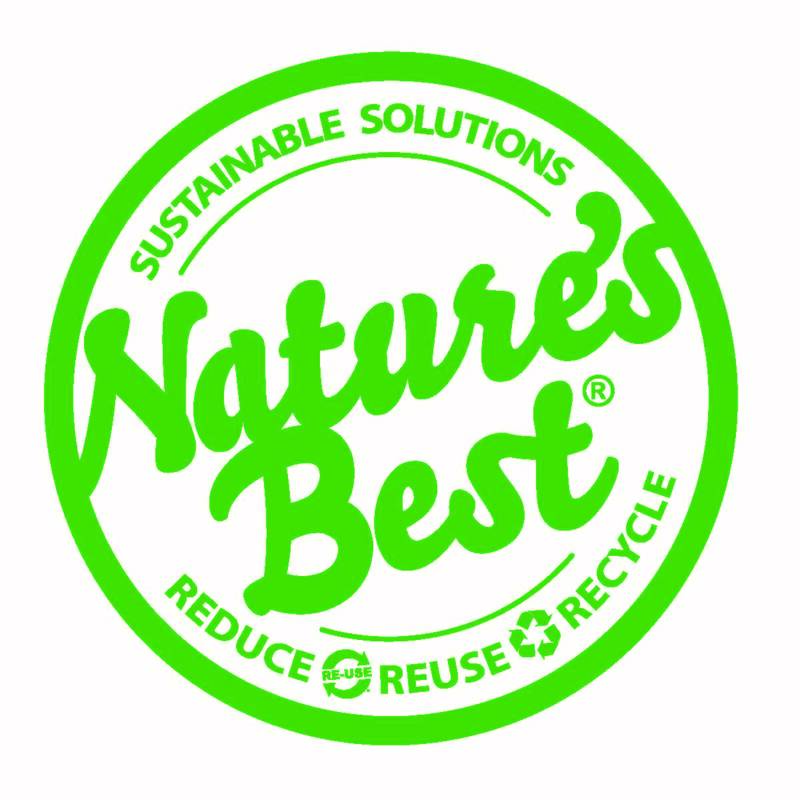 All products are recyclable curbside.